SAFF Women's Championship: Nepal and India to clash in finals - Integration Through Media ....! 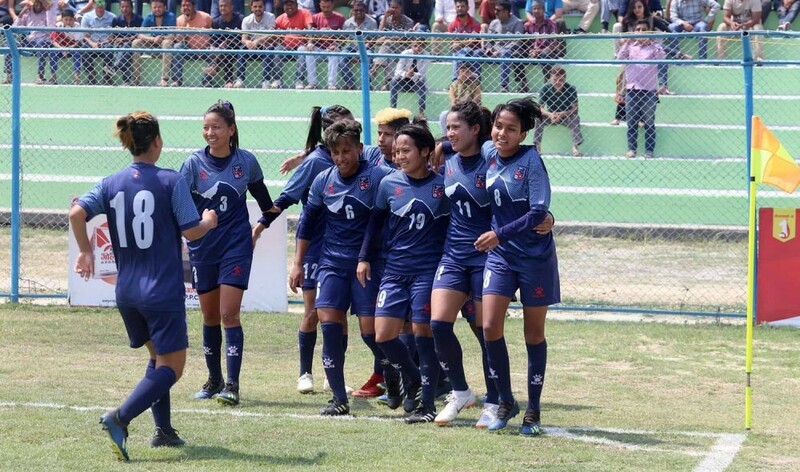 KATHMANDU: Nepal and India will take on each other in the finals of the fifth SAFF Women’s Football Championship. India’s Indumati Kathirisan is the leading goal-scorer of the tournament so far, she has a total of four goals and she is closely followed by Nepal’s Sabitra Bhandari at the second position with three goals. India would look to hold on to the trophy as they are the defending champions. They defeated Bangladesh 3-1 in the finals of the 2016 SAFF Women’s Football Championship.